Hello! I made a 'FUN' birthday card using a mix of stamps and stickers. I took a variety of dollar stamps and stamped them on a white card base. Then I just added some three dimensional stickers for embellishment. I tilted the main image panel on an angle to create even more fun and whimsy and added some coordinating designer paper in the background. 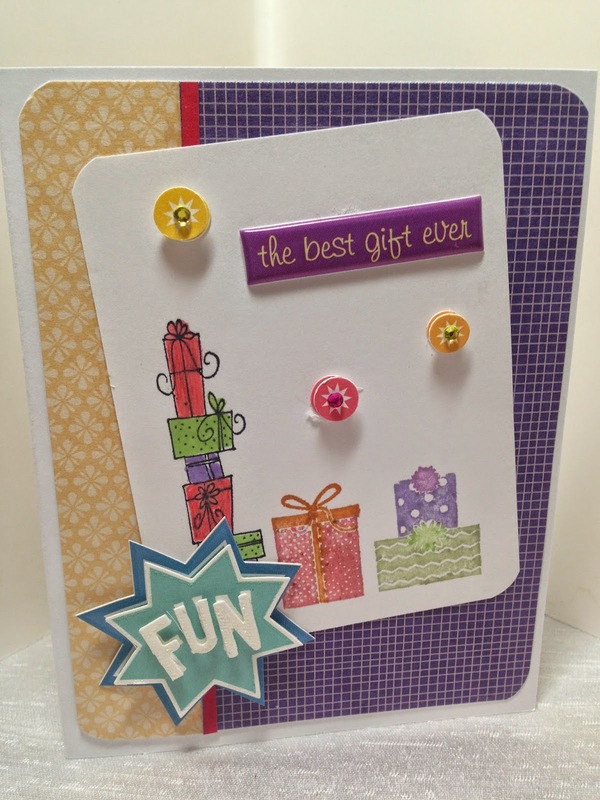 A really cute card Amy, love all the colors you used, and such fun stickers! Fun and superb card Amy !! A fun and happy card, love it!